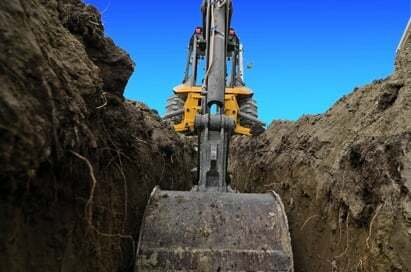 Plan to break the ground but afraid of hitting underground utilities? Give us a call! From locating a single water service for a residential property to marking out all utilities for an entire industrial property, we have extensive experiences on utility locating projects of all sizes. Equipped with state-of- art technologies including pipe/cable locators and ground penetrating radar (GPR), we have located all kinds of utilities such as electrical power cables, steel conduits, plastic gas pipes, and even fiber optic cables. 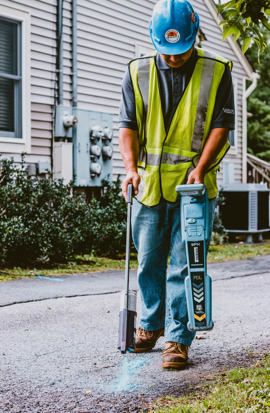 Our latest technology, electromagnetic induction, can be utilized to find pipes buried unusually deep, especially those reinforced concrete sewer/drain pipes, which are usually difficult to locate even with GPR. Whether you want to locate utilities underground, underwater or inside concrete, give us a call! How is Utility Locating done? Why do we need to use your utility locating services if we already called “one-call”? The One-Call service could be incomplete if utilities continue onto private properties and are outside of the public utilities jurisdiction. Identifying where the utilities come and go on your project site is your responsibility! 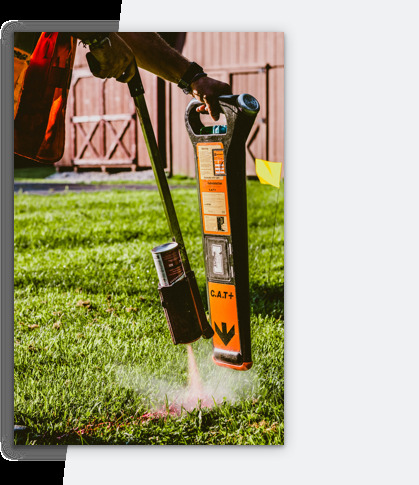 With our professional underground utility survey, you have another safety measure against hitting underground utilities. What makes you different from other utility locating companies? 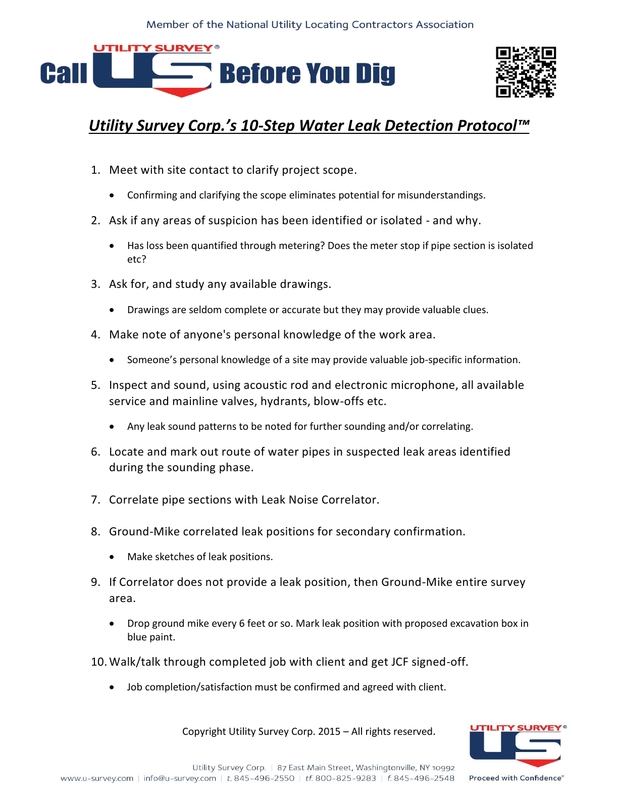 All of our technicians are trained to follow our proprietary "10-Step Utility Locating Protocol™". It has been tested on numerous projects, refined where required, and have successfully proven to minimize the potential for utility strikes. All this brings to our clients a service we believe is second to none. And - we’re very proud of that.